The children’s book “Are You Hungry” promotes language, traditional foods and early literacy. The story is about a northern Saskatchewan family as they gather and prepare food for a family meal. Dietitian and author Calyn Stange said the book highlights traditional practices of hunting, harvesting, snaring and fishing. 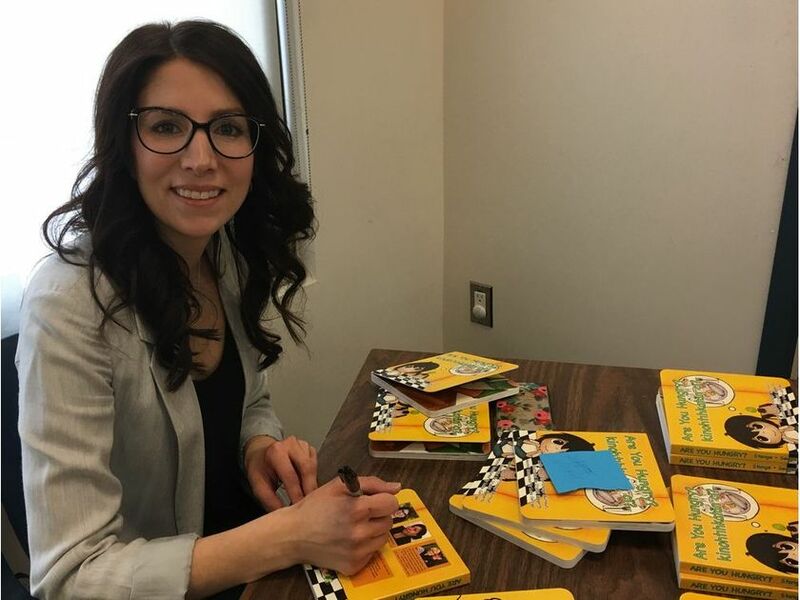 The process for the book started several years ago with the program Babies, Books and Bonding (BBB), which is funded by the Northern Healthy Communities Partnership, said Stange. The action team creates packages of resources recommended by the committee made up of public health nurses, a speak language pathologist and dietitian. As the packages were being distributed at immunization appointments, the need for northern focused support became clear. “(The BBB team) found with a lot of the books that we were giving out we didn’t have any books that had that northern focus and we really wanted to find a book that would support our languages,” said Stange. With the younger audience in mind, the committee decided to focus on 18-months-old children to increase the rates for early literacy. A callout was then sent out for an illustrator and high school Crystal Seegerts of Black Lake was hired. “(As a committee) we hope that it encourages families coming together and teaching their Aboriginal languages,” said Stange. The committee ordered 1,000 copies each of the book in Cree/English, Dene/English and Michif/English to be distributed in Northern Saskatchewan. As for the rest of the country, the committee is looking into ordering more in the future if the demand is there. Currently, a limited amount of copies are for sale on the Northern Healthy Community Partnership website, http://NHCP.ca . Amanda Frain is the main contact person.